I hope that your holiday travels were safe and happy. I had a fine time visiting family across the Pacific Northwest, from Seattle to central Oregon, Northern California and home again. I had been looking forward to seeing a bevy of Cascades volcanoes, including Mt. Rainier, Mt. St. Helens, Mt. Hood, the Three Sisters, Mt. McLoughlin and the others. Of course, the Northwest had no intention of revealing its treasures, as clouds and rain dominated our trip from one end to the other. There was plenty of geology, mind you, as we saw all manner of flooding, landslides, and mudflows, but I admit to feeling a tiny bit of disappointment at finding the Cascades hidden from sight. It wasn't until the last day of our travels, a 600 mile drive from central Oregon to the Great Valley in California that we saw anything of the high Cascades. We crossed the Siskiyou Mountains in a light snow storm, but by the time we reached the Klamath River in California the skies had almost magically cleared. As we turned around the ridge near Yreka, Mt. Shasta came into glorious view. 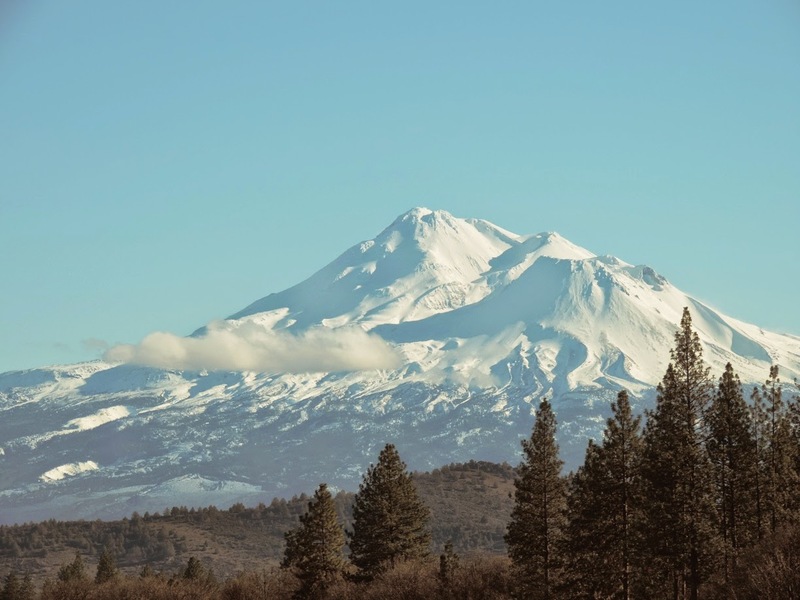 Shasta is the second highest (14,179 feet; 4,322 meters) and most voluminous of the Cascades volcanoes, and the second most active (after Mt. St. Helens). It last erupted in 1786. 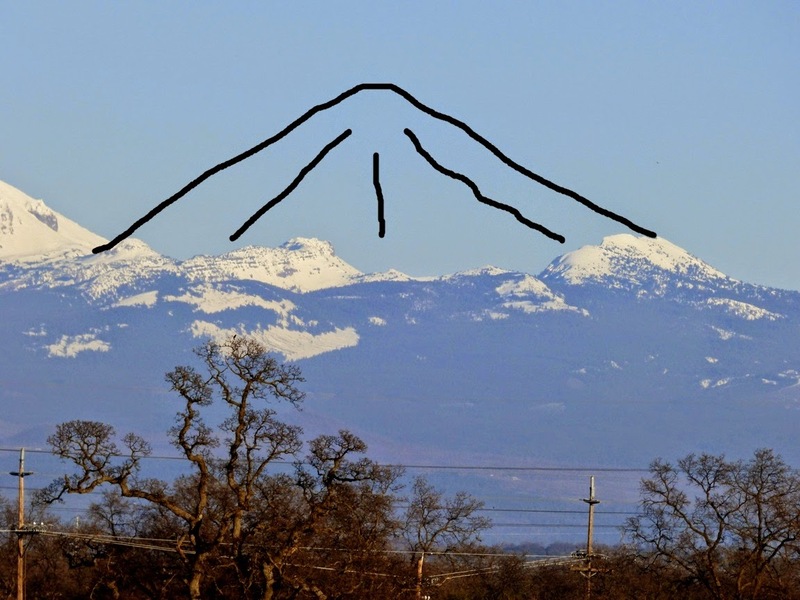 The volcano consists of at least four volcanic centers, including Hotlum Cone, the highest peak, and Shastina, a parasitic cone on the west side of the mountain (on the right side of both photos above). 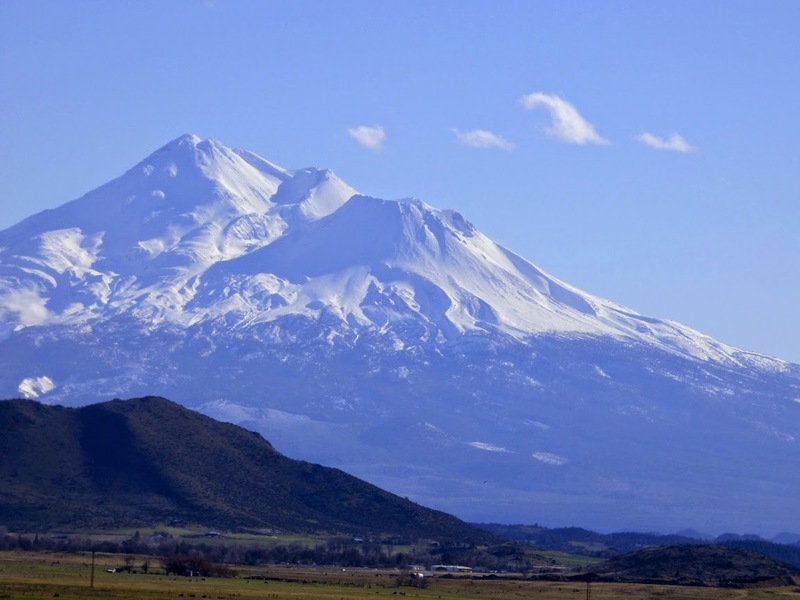 Shastina is actually the third highest Cascade volcano at 12,329 feet (3,758 meters) . Later, as the sun sank lower in the western sky, we were treated to a rare valley view of snow mantled Lassen Peak (10,463 feet; 3,189 meters). Lassen is a dacite plug dome that came into being during a series of eruptions around 27,000 years ago. It has the distinction of being the most recent volcano in California to erupt. After a series of nearly 200 phreatic explosions from May of 1914 to May of 1915, the volcano produced a dark viscous lava flow that melted much of the snow around the summit that resulted in a major lahar (volcanic mudflow). A few days later there was a large explosive eruption of ash, with a pyroclastic surge that destroyed about four square miles of forest. I was even more pleased with the view of the volcano that wasn't there. If you look to the right side of the photo above, you can see a series of ragged peaks, which include Brokeoff Mountain, and Mt. Diller. They are the remnants of a large stratovolcano that would likely have towered over Lassen Peak. The peak, now called Mt. 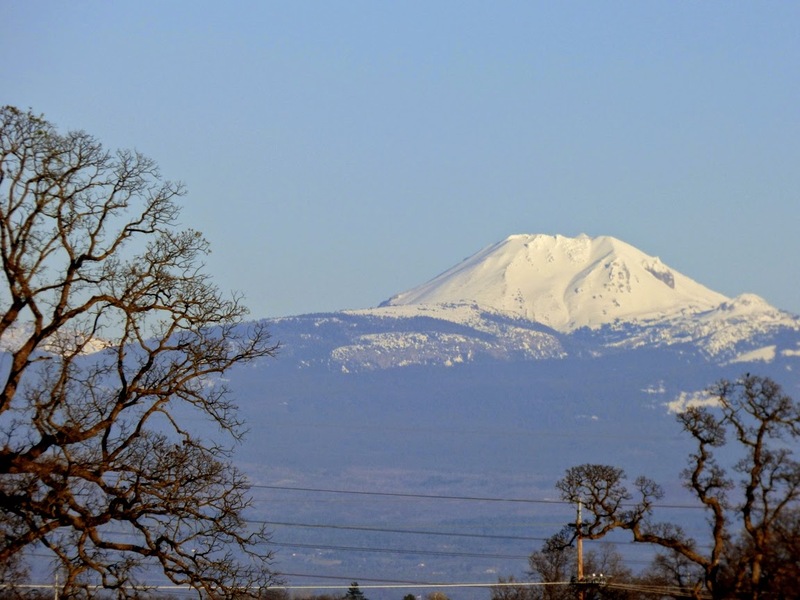 Tehama (or Brokeoff Volcano), grew during a long series of eruptive events between about 590,000 and 385,000 years ago. The eruptions grew silent, and erosion began to attack the extinct volcano. It is interesting to sit in the midst of these peaks (the main park road passes among them) and realize that one is looking out from the deep interior of volcano. 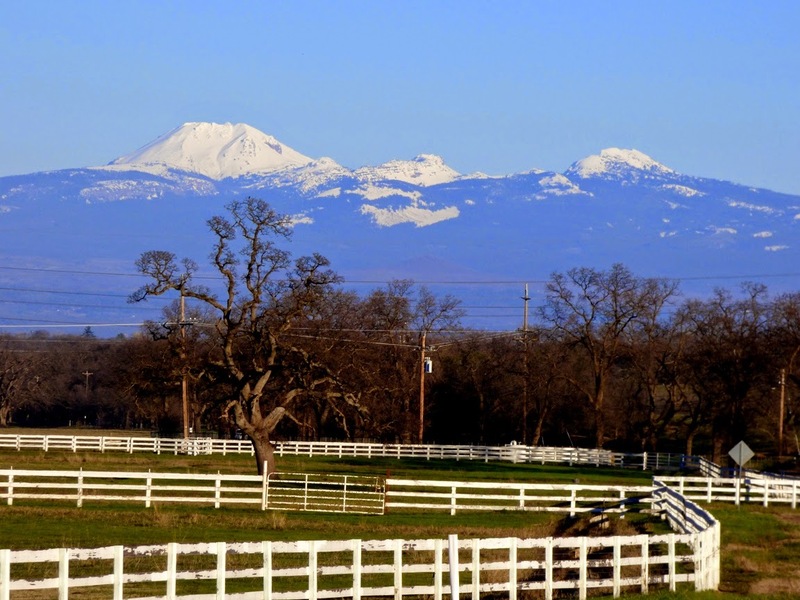 It was nice to see the coating of snow on the mountain peaks of northern California. The snow depths are still less than they need to be, but they are certainly better than the near lack of any snow at all that we saw last year during our holiday travels.